The Centers for Disease Control and Prevention is alerting the public about the Asian longhorned tick, a species of tick not normally found in the United States that is known for its ability to mass-reproduce. Since its discovery in 2017, it has been spotted in several states, according to this week’s Morbidity and Mortality Weekly Report. There is a lot of mystery surrounding the Asian longhorned tick, so here’s what you should know. The Asian longhorned tick can reproduce much faster than other ticks. The Asian longhorned tick can produce offspring at 1,000 to 2,000 eggs at a time, just like the more than 850 species of other ticks. However, the Asian longhorned tick is unique for the fact that it doesn’t need to mate to reproduce — it can do so all by itself. As a result, when an infestation occurs, hundreds to thousands of ticks can end up on an animal or person from a single tick. Eight states have reported Asian longhorned tick infestations. New Jersey was the first state to report the tick after finding an infestation on a sheep. 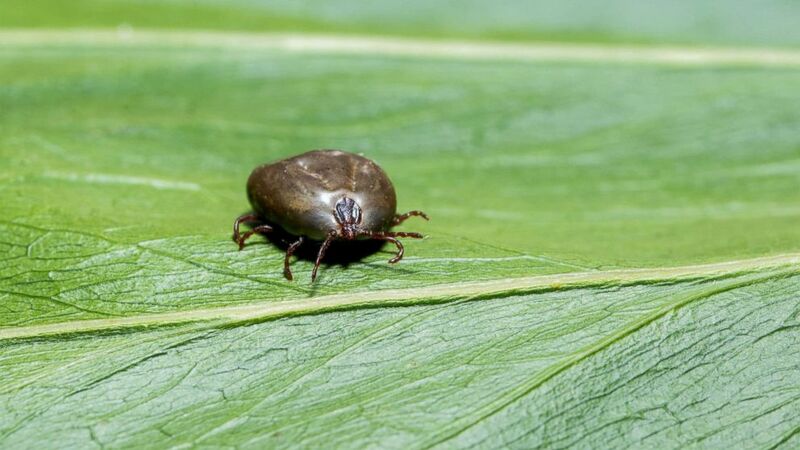 But since then, eight other states — Arkansas, Connecticut, Maryland, North Carolina, New York, Pennsylvania, Virginia and West Virginia — have reported finding the tick on a variety of hosts, including people, wildlife, domestic animals and in the environmental. Experts from the local to the federal level are working to prevent the spread of illness. To better understand the full potential impact of this tick discovery in the United States, the CDC says it is working with a network of federal, state, and local experts who specialize in veterinary and agricultural science and public health. Their goals include determining where the ticks are located, the kinds of pathogens they might carry that could infect people and how often they bite humans and animals. They also plan to develop prevention and control plans. Though Asian longhorned ticks pose a threat, you should be looking out for all ticks. Ticks are already very common in the U.S., living in areas with tall grass or around animals. They can’t survive without feeding on blood, so when they find a host, they latch on and stay on. Though ticks are often associated with Lyme disease Rocky Mountain spotted fever and Ehrlichiosis, Manning said that most of them won’t be carrying these illnesses. Still, it’s important to remove them as the longer they stay on, the more likely they are to transmit a disease — if they are carrying one. In most cases, however, “removing the tick using tweezers with firm pressure will do,” she added. • Avoid wooded, grassy or damp areas or places where you might encounter deer or other animals. • Wear clothing and gear, such as boots, long pants, long-sleeve shirts and socks, that are treated with 0.5 percent permethrin. • Apply insect repellent containing DEET onto exposed skin, and follow the instructions on the container. In general, repellents that contain 98 percent DEET will last about 10 hours, while those with seven percent DEET will last about two hours. • Bathe or shower as soon as possible after coming indoors to wash off and more easily find ticks. • Conduct a full-body tick check using a hand-held or full-length mirror to view all parts of your body, including under the arms, in and around the ears, inside the belly button, behind the knees, between the legs, around the waist and especially in the hair. • Make sure your pets are treated monthly with flea and tick protection. Eric M. Strauss is the managing editor of the ABC News Medical Unit. He welcomes your feedback at @abcnewshealth and @ericmstrauss.